Almost twice a week there is a story about major elk poaching in Idaho, often involving important people. There is so much of this we have to question the real reason why elk numbers are below objective in a half dozen Idaho hunting areas. Caldwell father, son arrested on felony charges in Owyhee poaching incident. Idaho Statesman. Whether the average temperature has changed worldwide is a matter of fact, not of theory. Theories are designed to explain facts and predict new facts (to test a theory and to expand a theory). One can question the process of measurement — say it is wrong — but that has nothing to do with theory. I doubt that few news stories would have time to discuss how average temperatures are calculated and where measurement error might creep in. 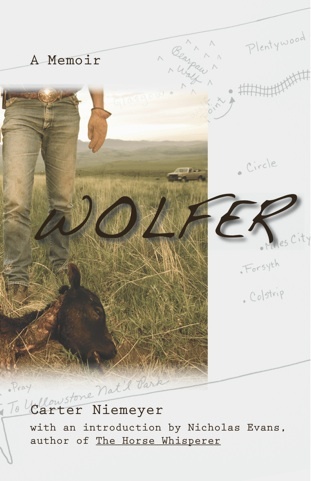 A lot of folks have waited for the publication of Carter Niemeyer’s autobiograpy, Wolfer. It is now available from a couple sources, but Amazon.com will get it to you before Christmas. I’ve checked that out. It is also available at Amazon as a download for your Kindle. I read the draft and the book grabs you from the first page. It seems like Niemeyer is good at just about everything, and that includes writing his story. It certainly needs to be told because people just don’t know what being a “government trapper” is like. They also don’t know what it takes to change your mind about the direction of your career. I will post a full review after the holidays when I get my final copy.